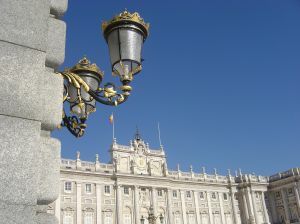 A tour of the Royal Palace of Madrid is one of the interesting things to do in Madrid with kids. This is the official residence of the King of Spain, however it is currently only used for state functions. This ornate palace will keep the kids entertained with plenty of paintings, chandeliers and thrones to look at. The kids will enjoy the armory room where they can see armor made for animals and children. Be sure to take a relaxing stroll in the gardens with your family. If your family has any football (soccer) fanatics then a visit to Bernabeu Stadium is a must see Madrid attraction. You can go on a tour of this stadium which is home to Real Madrid. Your kids will love seeing the locker rooms, press room and the football pitch. Be sure to check to see if you can see a live match here! Reina Sofia Arts Center is one of the best Madrid museums for kids. They have works from Picasso including the famous Guernica as well as some interesting pieces from Dali. Pack some water paints and paper from the dollar store so your budding artist can create their own masterpieces back at the hotel. Take a Segway Tour of Madrid. See the sites on these fun human transporters. 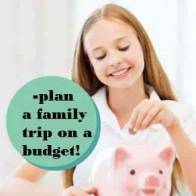 This is a fun tour for older kids and teenagers (children must be at least 7 and accompanied by a parent). Puerto Del Sol is a central plaza in Madrid. The kids will love watching all the different street performers. There are lots of statues to check out in the square. Enjoy a drink at one of the local cafes and do a bit of people watching as you listen to the local musicians performing here. Retiro Park is a great spot to escape the hustle and bustle of Madrid. 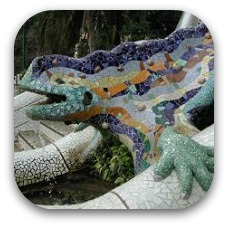 It is a beautiful park with lots of gardens, bridges, sculptures and a crystal palace that houses temporary exhibits. 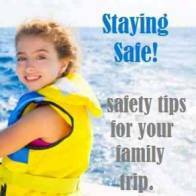 Your family can paddle around the lake in a rental paddle boat. There are lots of open green spots for the kids to run and play. Near the lake there are lots of musicians and entertainers. Grab lunch at a local bakery and head to the park for a picnic and don't forget to bring some bread to feed the ducks. A visit to the Madrid Zoo Aquarium is a fun outing. There are 4 giant pandas resident here including twin baby pandas born in 2010. There are lots of animals to see here including lions, elephants, orangutans and penguins. There is a great aquarium on site too. Don't miss the dolphin show! The zoo is located in Casa de Campo Park. Enjoy the views of Madrid from above when your family takes the Teleferico Sky Tram. Enjoy an 11 minute ride over top of Madrid where you can see the Palace, cathedrals and parks. Each tram can hold a family of 5. The tour starts at the Paseo del Pintor Rosales and ends at the Casa de Campo park. Parques de Atracciones is one of the fun things to do in Madrid with kids. 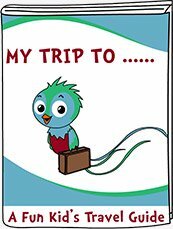 Your teenagers will love the thrilling roller coasters, your children will have a blast on the flume ride and your toddlers and small children will love the small rides such as mini pirate ship and child hot air balloon ride. There are lots of rides for everyone to enjoy. This amusement park is located in Casa de Campo park. Your children can start the day with delicious churros dipped in hot chocolate for breakfast. Fresh baked savory empanadas from a bakery for lunch and the famous Spanish dish paella for dinner. 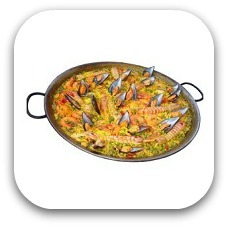 Check out these tasty Spanish food for kids to sample on your family holiday. 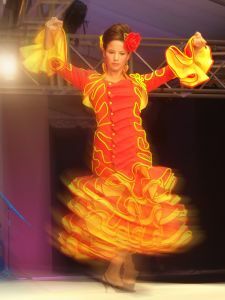 Check out a Flamenco Show with the children. This famous Spanish dance will have your kids stamping their feet to the music. Casa Patas offers a show most evenings (some evenings there is an earlier show). You can go just for the show or you can include tapas or a meal. Head to Parque Juan Carlos with your children. 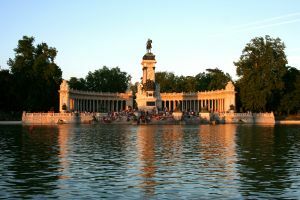 This is one of the fun things to do in Madrid with kids.This huge park has lots of modern sculptures, fountains and playgrounds for the kids. You can rent bikes here to explore the paths. They have single or tandem bikes available. There is an ice cream stall to stop for a treat. Faunia is a nature park with lots to keep the kids entertained. 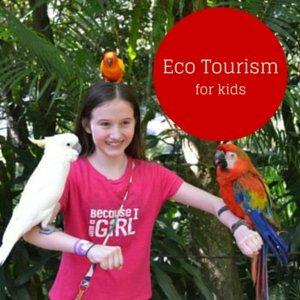 There is a butterfly garden, penguin exhibit, aquariums and pony rides. They offer sleepover camps for ages 6-13. Warner Park is one of the fun Madrid attractions for kids. This theme park is based on Warner Bros shows. There are rides for all ages and a splash park for the little ones (bring water shoes). There are lots of fun shows to see including Police Academy with amazing car stunts and Chinese Theater with 3D projections. Museo de Cera is fun for the whole family. It is a wax museum with statues of Superman, Bart Simpson, Freddy Krueger, Picasso and Cleopatra and many more. There are also several rides here including a horror train, virtual reality simulator and a multi-vision presentation on the history of Spain. 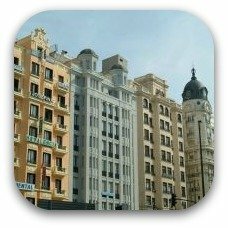 Holiday apartments and charming family hotels in Madrid. 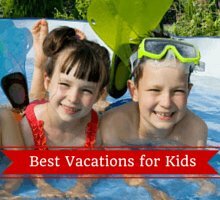 21 Fun things to do in Barcelona with kids! Tasty Spanish dishes the whole family will love!